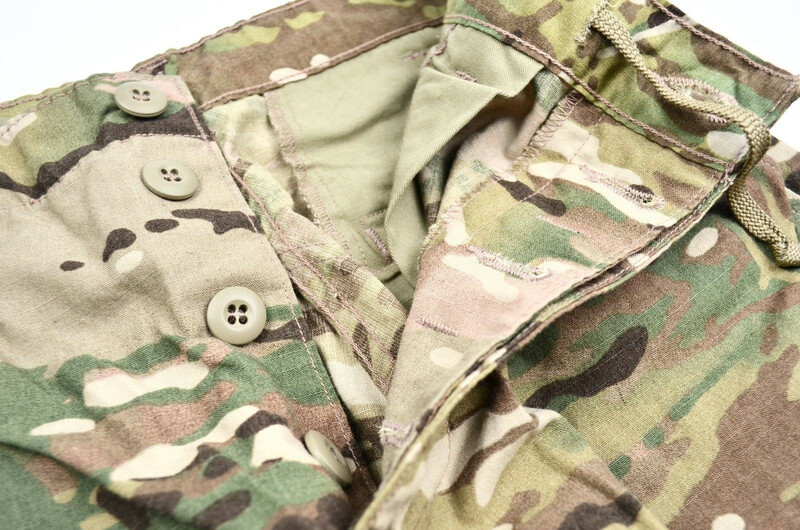 Multicam trouser constructed to military specification. 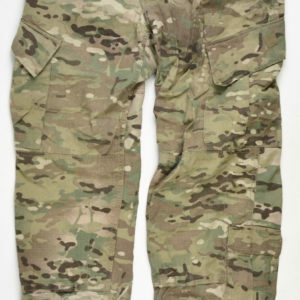 A flame-resistant, combat fabric used by the U.S. Army. 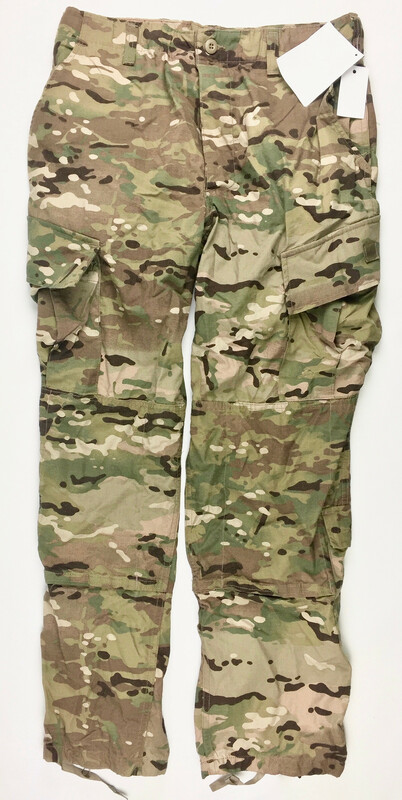 This Multicam pants self-extinguishes and will not melt or drip. 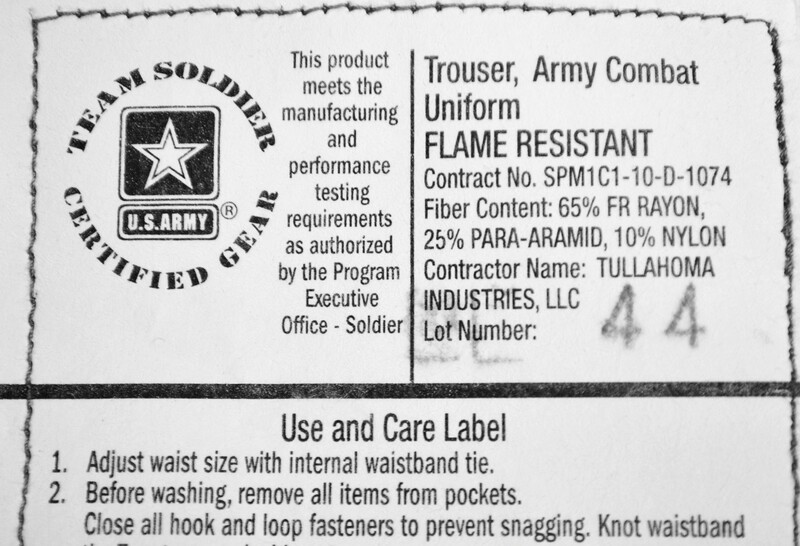 Includes square marker on the left sleeve to identify a fire-resistant garment in the operational theater. These FR properties are inherent in the fabric, so they will not wash or wear out. Provides protection equivalent to more expensive flame-resistant fabrics. Authorized for Wear By the U.S. Army w/ NSN numbers on the inside sizing tags. Protection: Self Extinguishes and will not Melt or Drip.